I joined a new gym recently, and I'm so excited to have finally been re-united with the sauna. For me, it's the perfect ending to a workout and a wonderful way to be still, breathe, sit in silence, and think. Truth be told before recent months, it had been years before I last sat in a sauna. Back then (like seriously, 2009/2010), I was rocking straight hair and didn't pay too much attention one way or another to my hair (except for the obvious concern of sweating out my roots). Fast forward to 2015, and I'm well into my natural hair journey and rocking a head full of curls. Because moisture is so important to the health and vitality of our hair, protecting our kinks, coils, curls, and waves from the dry heat of the sauna is a must. Luckily, these past several weeks have afforded me many opportunities to experiment with different methods of protecting my hair -- and now I have some tips to share! Keep reading to find out how to protect your hair in the sauna before you even set foot inside, and what to do after you come out! I'm all about preventative measures, so whatever I can do to give myself a leg up is virtually a no-brainer. If sauna time is or will be a part of your health and wellness journey, make sure that your normal haircare regimen reflects it. What I mean here is make sure that you're deep conditioning regularly, and sealing in moisture. Deep conditioning restores and helps maintain internal hydration within the hair, while using leave-ins, oils, and creams (LOC method) helps to keep moisture in and form a barrier between your tresses and the dry heat. Making a regular practice of deep conditioning and the LOC method will help prevent your hair from drying out in the long run. Click here to learn everything you need to know about deep conditioning. So, your regimen is on point you say? 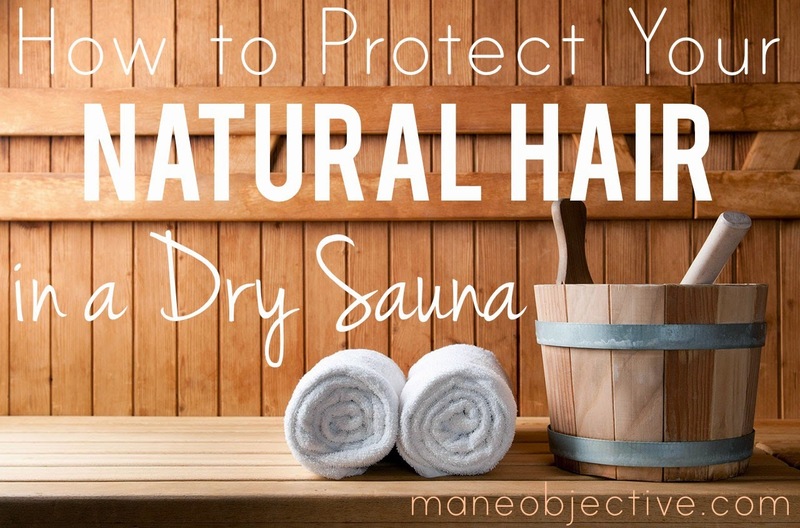 Then head on over to NaturallyCurly.com to check out my tips for protecting your natural hair before stepping into the sauna!